Given the success of the initial Asics DS Light X-Fly release, there was always going to high expectations surrounding the introduction of a second generation. Designed to accommodate the simple requirements of everyday players, there is nothing over complicated about the range. What you see on the outside is what you get. For some, that might be the most beautiful pair of boots they have seen in a while, and for others it might be your run of the mill release. The comparison with the original is where they get really interesting, and having experienced both we can give you a solid insight into what to expect should you want a pair of the second generation “modern heritage” range. Search for remaining pairs of Asics DS Light X-Fly. Visually, they look a lot more traditional with that cross paneled stitch design. Most of the initial release has been kept fully intact, emphasizing how confident Asics feels about the performance of the range. Check the original DS Light X-Fly review as a precursor to this review. Loving everything about these out of the box. Think Tiempo meets Copa Mundial here, they are flexible and almost molded right out of the box. 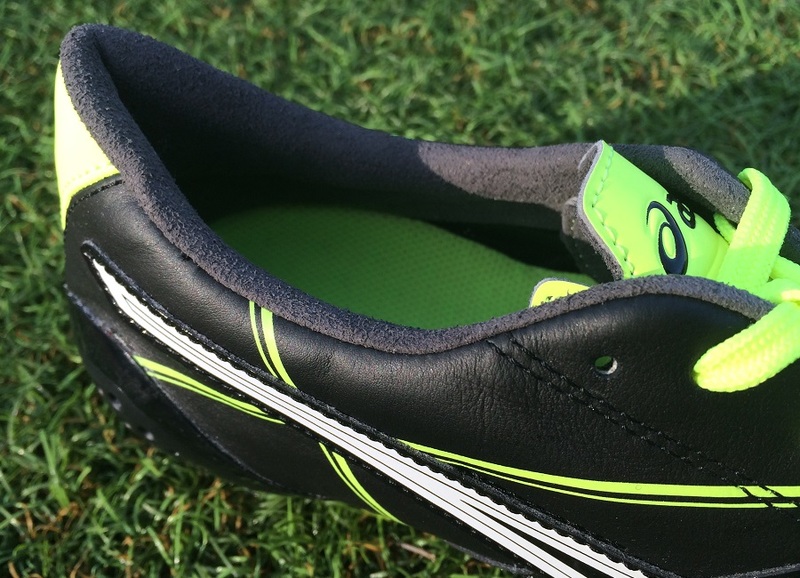 The X-Fly soleplate is made of a Solyte Polymer compound that offers a loose feel without taking away from stability. It is actually designed to even out pressure distribution equally through and this plays true since it is combined with low-profile conical studs. Something I really like about the boot is the suede lining that sits just inside the boot. If you have ever encountered that annoying sliding feeling inside a pair of boots rest assured you won’t with these. It is like have a layer of soft, foam covered sandpaper that catches your sock and holds you in place! Being that both the original and this second generation version are so similar, there isn’t anything I’d change in this section. The only difference between both lies in the construction and design of the upper – which will be covered below. Rest assured in the knowledge that these boots are just darn comfortable, backed by the reputation for comfortable and consistent Asics puts into their running shoes. You might recall Elvis once sang “Don’t step on my blue suede shoes.” Given who the man was, and that he loved his blue suede shoes, there was an air of positive arrogance about how he performed it on stage. In a mildly similar fashion, Asics has done the very same thing with by releasing a boot so similar to the original (except these are not blue and the suede only exists on the inner lining!) We loved the original and everything they had on offer. The only change this time around sits in the upper and how Asics has sewn the material. It is still a K-Leather and “panels” are the focus. 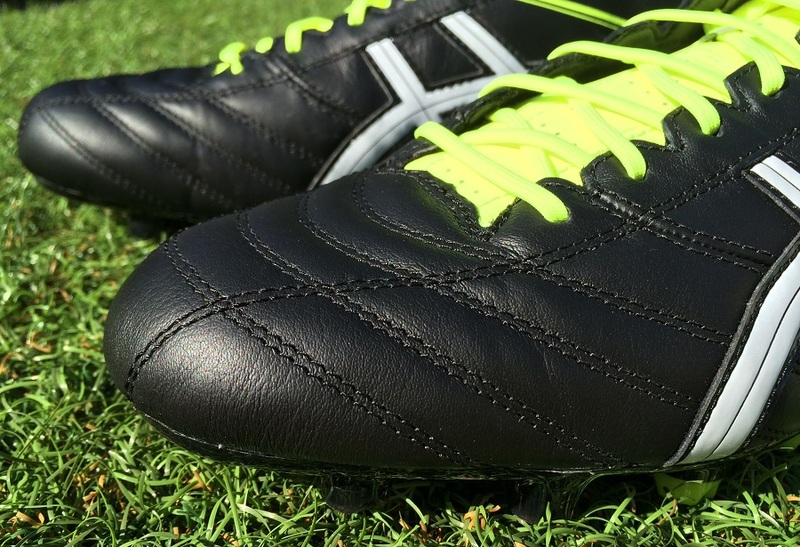 Performance wise, there is a key difference that sets both boots apart. Yes, it takes the boot back to a more heritage style design, think Tiempo-esque or even Copa. But, sometimes stepping back to an “expected” design doesn’t always improve what is on offer. Where the original version had such a buttery soft feel and natural motion through play, this version is ever so slightly stiff and not as perfected. Don’t get me wrong, this version still has a natural feel and the material is plenty soft. When you test them side by side, you can see there is a difference. The only reason I can see why Asics has made the decision to switch could be related to design and sales numbers. The original styling was very unusual and might not have reached a wide enough audience. This second generation take is sure to capture more attention for their standardized design. If that is the case, it is a shame really! Focusing solely on this boot and how that K-leather upper feels, it is very soft and has a natural flow to it as you control the ball. The stitching has created mid-shaped side panels that add some cushion on the ball. When you match it with a black leather – like this release – it makes them look even classier, a real traditionalist boot. Next up is the studs and the design Asics employ. Each stud features 3 grooves that give it a sort of golf stud style design. 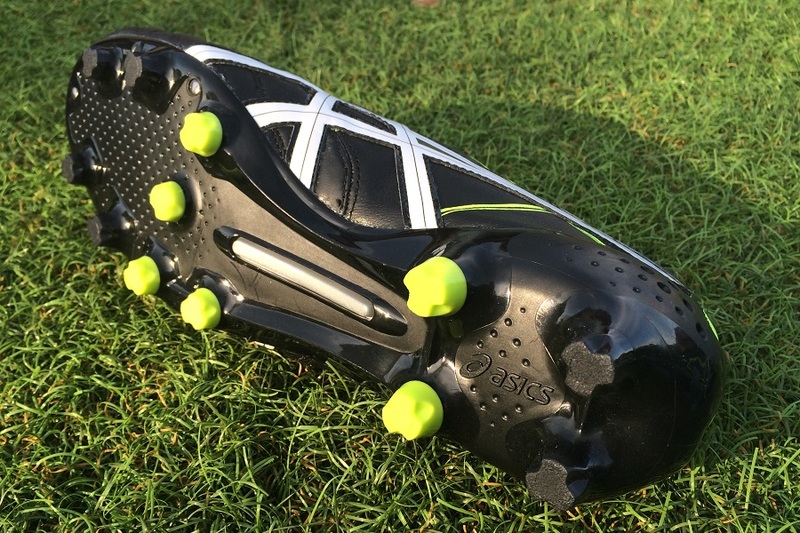 I can’t confirm that this plays a role in a better level of traction, but what I can tell you is that the low profile of the studs produces a really stable feel and they are an excellent boot for chopping, cropping and turning on artificial surfaces. When you combine them with the extremely flexible Solyte Polymer soleplate, they are an ideal box to take out of the box and right into play. It is without a doubt one of the best soleplates on the market and is actually where I think these perform best. 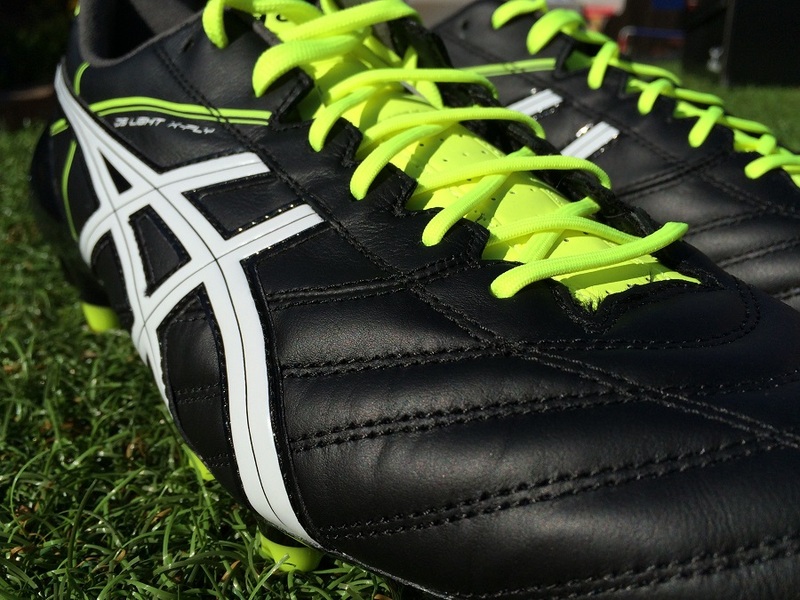 By placing a lower cut on the heel, Asics provides a different feel for players. There is not much coverage up around the Achilles and the region around the ankle bone has been elevated ever so slightly. It produces a nice comfortable fit right around, partly in thanks to the foam lining just inside the boots that is covered with a grip suede lining. That little extra grip keeps your foot locked in place with little movement, creating a very comfortable ride. Then there is the heel counter, which comes up around your foot. I was concerned initially that it would rub as it has a slightly sharp feel about it. But thankfully, it contours well and never caused any problems. I am interested to hear how players with a thin heel find this – if you have worn them and encountered any issues, let me know in the comments! As you might have gathered by this point, the only real difference between both boot exists in the upper and how Asics has gone about adding stitching. Some players will like the upgrade to a more modern styling, whereas others will be disappointed to see the more abstract implementation disappear. Personally, I’m the latter and am glad to have a pair of the originals stored away for a rainy day! If you have ever worn an Asics running shoe, these actually fit in a very similar fashion. Length wise, they are very much true to size, while width wise they offer an extremely generous fit. Wide fitting players can definitely add these to the list of possible options, especially if you loosen up the bottom few laces. One other note here, because of the shape of the soleplate you get some support through the arch that might help out some players! There isn’t a great deal to be critical about with these boots. It is clear that Asics has addressed the durability concerns with the original (something we will continue to monitor) and visually, they look like a traditional release from a top brand. But again, the price point might cause some distraction, reducing the number of pairs that are sold. 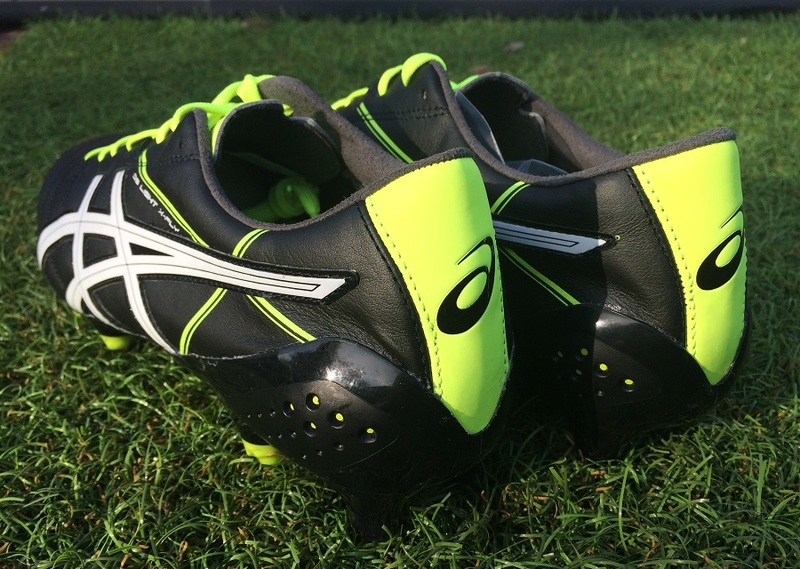 If Asics want to make an impact, they need to get players wearing their boots to appreciate exactly what is on offer. With a price point above similar Nike and adidas releases, how many people are going to choose the less reputable soccer brand? Highlight: A modern take on a high performing, comfort boot with a heritage take. K-leather upper, super flexible soleplate. Category: Heritage – also a lightweight package. Would I Buy Them: They are on the higher end of the price spectrum but offer a quality package. You should consider the original (currently on sale) as a more affordable option. 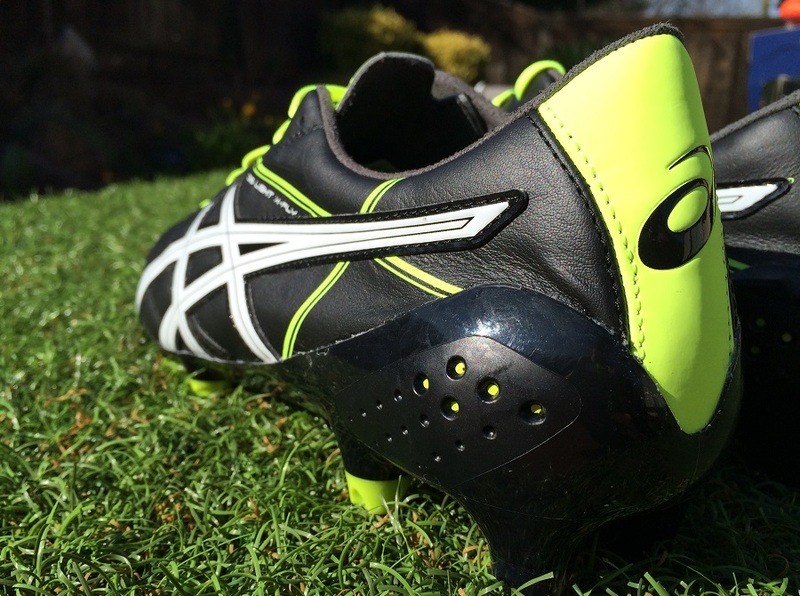 Player Position: A very multi-functional boot that is sure to suit many different style players. 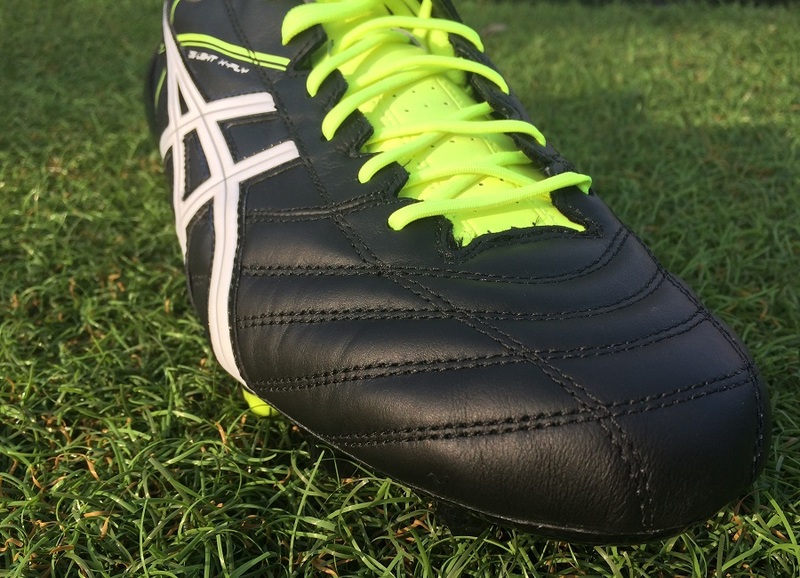 Anywhere from wingbacks through attacking mids, they are very accommodating as a hybrid boot. HIGHLIGHTS: A modern take on a high performing, comfort boot with a heritage take. K-leather upper, super flexible soleplate. A very multi-functional boot that is sure to suit many different style players. 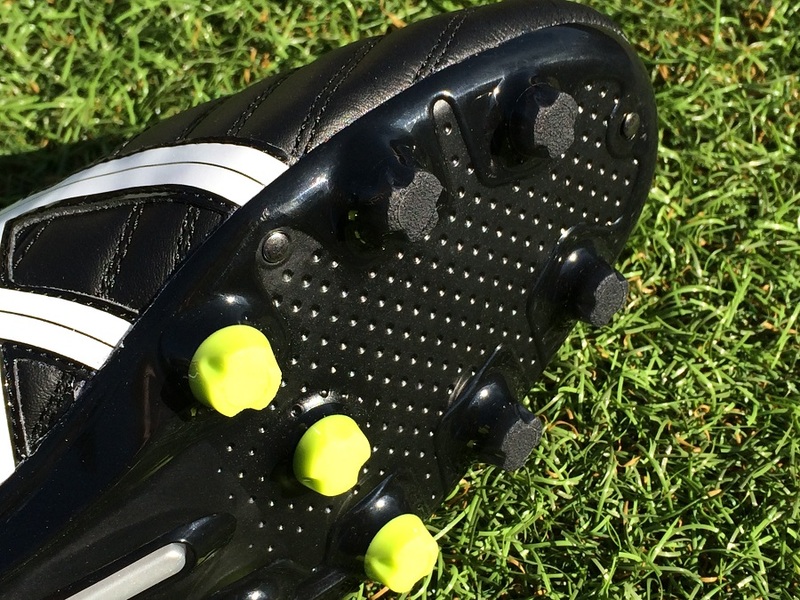 Anywhere from wingbacks through attacking mids, they are very accommodating as a hybrid boot. Bryan I’m a huge fan of your articles. I’m a creative player. I defend, I pass I dribble and score. I play as a midfielder. Would you recommend these to me? Does it provide enough protection? What about it’s durability? Please reply. i just brought these and i am in a grade a in my school team, they are extremely comfrotable and flexible to wear they are a fantastic boot you go for it man, however it isnt a mainstream brand and might not be as attractive as other football boots but i have an extremely wide foot and it fits amazingly, go for it bro. I really like these boots. I agree with Bryan. I prefer the original ones too. The original ones stitching provides a better feel on touch. I also prefer the original ones K-leather tongue over the 2nd generations synthetic tongue. However, to be honest, these are not a big deal. At least I dont want to make it such a big deal. Both are very similar. Most people wont even notice the difference. If you havent bought the original one, you will think the 2nd generation is amazing boots. Very comfortable boots with light weight package. But 7.2 oz is not true. I dont have scale, but both on feet and on hands, these are heavier than Mizuno Morelia MIJ 2015, about the same range or slightly heavier than Nike Premier, and definately lighter than Tiempo 5. For sizing I heard its true to size, but I have about quarter of thumb lengths room in the toe box area in brand new condition which I didnt like. I would recommend to go a half size down. It might be a bit tight before broken in, but pretty sure it will expand. I'm agreed with sizing. Everyone should go half a size down. Otherwise you'll have too much space at the front. I don't know why this website and sr4u recommended true to size .. I mean .. how can they be fine with that space at the front !